Turner's TNT has greenlit straight to series Raised By Wolves, a serialized sci-fi series from master storyteller and filmmaker Ridley Scott (The Martian, Blade Runner, Alien: Covenant), who will also mark his television directorial debut with the series. Acclaimed writer Aaron Guzikowski, the visionary behind the highly lauded film Prisoners, will serve as showrunner as well as a writer. "I'm always searching for new frontiers in the sci-fi genre and have found a true original in Raised by Wolves - a wholly distinct and imaginative world, full of characters struggling with existential questions: What makes us human? What constitutes a family? And what if we could start over again and erase the mess we've made of our planet? Would we survive? Would we do better?" said Ridley Scott. "Given TNT's impressive run of bold, quality programming, this feels like exactly the right home for this kind of ambitious television." 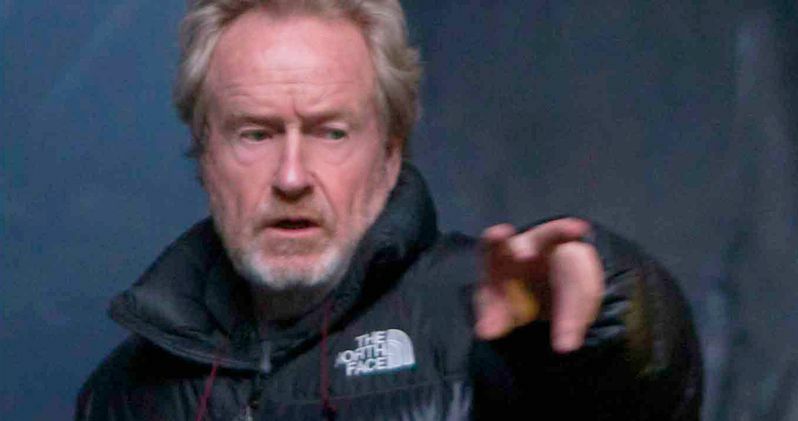 "Ridley Scott is simply the best there is in the sci-fi genre," said Sarah Aubrey, executive vice president of original programming for TNT. "Besides directing some of the most important sci-fi films of all-time, Ridley has created iconic characters from Alien's Ripley to Prometheus' Elizabeth Shaw. We're thrilled to have Ridley do the same for us as we look forward to his vision of Aaron's complex and futuristic Mother. It's incredibly rare to be able to make television that both challenges one's intellect and also thrills the excited fangirl side-Raised by Wolves is that rare show that does both." The series is being produced by Scott's Scott Free Productions in association with Turner's Studio T and Madhouse Entertainment, with Scott, Guzikowski, David W. Zucker (The Man in the High Castle) and Jordan Sheehan (The Terror), and Madhouse Entertainment's Adam Kolbrenner (Prisoners) and Robyn Meisinger Prisoners serving as executive producers. The International rights to the series will be distributed through Turner International.